In my first article “How can I be happy in life? 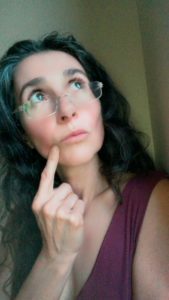 Sharing my personal views…“, I scratched the surface of what it can mean to be happy to different people and ways in which we can concretely experience happiness. 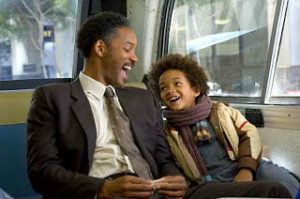 Join me now in my personal review of the movie “The Pursuit of Happyness” (2006) with Will Smith and his son Jaden Smith. ‘The Pursuit of Happyness’ Movie Review. Why? First of all, let me clarify one thing for those of you who may not know… no, this is not a typo… ‘happiness’ is really spelled with a ‘y’ in this movie title. I first came across this movie while doing research to write my first article “How can I be happy in life? Sharing my personal views…“. I took notice but I was on a mission to finish my article by the end of that same day so I didn’t take the time to investigate further. In my personal belief system, this is what I call a sign… an invitation to look further… And as I am always on the outlook for a good uplifting movie to watch with my dear husband Koen, I promised myself to discuss it with him. Long story short, we watched it that very same evening and, the next morning, I felt like writing this review about it. Have YOU seen ‘The Pursuit of Happyness’? Tell me in the comments below. Even parents who want the best for their children sometimes say things they regret afterwards. They teach a great lesson of courage and humility when they address those hurtful words and rephrase them into an empowering life lesson. Young children can value and feel happy with what adults consider to be small things. Life is about making the best of ANY situation even if the circumstances are not as good as we would hope. When we follow our heart’s dream with faith, the Universe ‘conspires’ to make it possible. How about YOU? What are YOUR top life lessons from this movie? Please share them with me in the comments below. “Lord, don’t move that mountain. Give me strength to climb it.” I personally think that the need for hardship is a limiting belief. Instead, I prefer to believe in being in the flow. Water does not flow uphill but downhill, naturally and easily. It is only hindered by obstacles that are either natural (hard rocks, fallen branches, etc.) or man-made (dams…). In the past few years, I have become aware of many limiting beliefs I have bought into. I have been exploring ways to remove them from my belief system and to replace them with empowering beliefs. I shall write about my exploration and results in later articles. Leaving Captain America behind: This is an example of what I said earlier. Children can feel happy with what adults consider small things. To his son, that Captain America figurine was even more valuable than one of the machines he was trying to sell. I would have preferred to miss the bus and get Captain America back. I don’t think his son needed any more lesson in detachment at this point. How about YOU? Did YOU disagree with anything in this movie? Let me know in the comments below. Mommy? Chris (the hero) mentions his father at the beginning of the movie. What about his mother? And where is she at the time the story unfolds? He does not seem to have a relationship with her and he doesn’t even mention her. Does this make it easier for him to dismiss the importance of his son’s relationship with his own mother? What is the point of success? At the end of the movie, we learn of the great work Chris went on to do in his life. Is that it? Didn’t he also contribute to society on the social level? After all he went through, I would have loved to learn that he invested some of his success in helping people like him who go through a tough time in life. What’s the point of success if it is not to contribute to the advancement of a more just and caring society? How about YOU? What else would YOU have liked to see in this movie? Please let me know in the comments below. “You think you had it hard? Look! It could have been a lot worse! Be grateful that your mountain has been easier to climb.” As crazy as this may sound, I personally experienced many situations depicted in the movie when I went through my divorce. Thank God, some things did not go as far as in the movie. “You have healed those wounds.” I usually cry when I watch movies, especially when I can identify with what the characters are going through. While some things during my divorce did not go as bad as in the movie, others were worse. I am not ready to share the details of this part of my life yet but many moments of the movie resonated deep within me. At the same time, I was amazed that my eyes stayed dry during almost the whole movie. They only became teary at the end, when they announced the results of the internship to Chris (the hero). I was able to feel compassionate without crying the rest of the time which, to me, is a confirmation that the work I have been doing to heal my emotional wounds has paid off. 🙂 I shall share more about the techniques I have used to heal these wounds in later articles. How about YOU? Did YOU get some personal messages from the movie? Please share them with me in the comments below. If you have seen ‘The Pursuit of Happyness‘ please share your answers to my questions in the comment section below. If you have not seen it, please let me know if you feel inspired to check it out when you get a chance. Then come back to this article to share your answers with me. You can get the DVD or watch it with Amazon Prime. Absolutely loved this movie when I first watched it, and I’m not a fan of drama in any way, shape or form (I’m a geek who normally only watches Science Fiction or Horror movies!). I don’t normally see or feel the uplifting elements that others find in these movies, but somehow, this movie made a mark on me. I also thought that Will Smith was perfectly cast as the father! So you call yourself a geek and yet you say you absolutely loved this movie when you first watched it? Wow! To me this really shows how good this movie is! Thanks so much for sharing your experience here with me. I’m curious… could you maybe give me the titles of 2 or 3 of the most inspirational science fiction movies you have ever seen, with messages on the topics of Joy and Happiness? Hi Nathalie! Thank you for this very interesting read. Happiness is an abstract term. We may struggle all our life in this pursuit. We’re very complex and happiness can by no means be something easy to explain due to our complexity. In this materialistic age, in which things are simplified for commercial reasons, the concept of happiness has also been adapted to this trend. I enjoyed this film. And I would watch it again, because the story is indeed touching. But I personally feel that the idea of happiness has been oversimplified in this movie (only external aspects are addressed). Would you partly agree with me? I liked the fact that even though you enjoyed the movie, there are also things with which you disagree. I like your critical approach. I’m glad to hear that you enjoyed that movie and that you would watch it again. Yes, I would indeed agree with you that the idea of happiness was oversimplified in this movie. Indeed mostly external aspects were addressed. I’m curious… what movie would you recommend that also addresses more internal aspects of happiness? 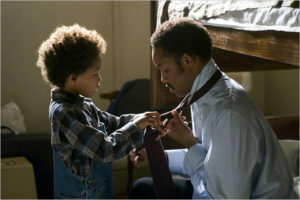 If I have seen the film twice “The Pursuit of Happyness”, I really love it. What is it that showed me? Our dreams are to fulfill them, for this we can go through different paths. It may happen that reaching them takes time, we must overcome all difficulties until we reach our port. Our mind is prepared for it and always thank for everything achieved. Wow! You’ve seen this movie twice?! Nice! Yes! I really like how you express what it showed you. I completely agree with you! I haven’t seen this movie as yet. However you review is so interesting that I have to watch it soon. I like that is is inspirational and encourages people to persevere no matter the situation they are faced with. These types of movies are always worth watching. I can’t wait to watch it. Will share my personal experience as soon as I do. I have not seen this movie, but I am aware of its uplifting power when so many movies are just short-lived entertainment with no value. I am a father that spends almost every moment away from work with my son. My wife and I work opposite schedules so we handle different aspects of nurturing his intellectual and emotional growth. My son definitely finds joy in the small things, in toys that we may dismiss, in pretend scenarios that help him be creative. I find myself playing with toys, pretending to be what he needs me to be to push the scene along or pretending to be a character and reenacting scenes from his favorite shows/movies. Fatherhood has taught me to take joy in the simple things and cherish every moment we can, especially with my wife and son, because they are fleeting and can pass us by if we don’t pay attention. I am not perfect and have gotten upset with my son for various things, but I try very hard to not make him feel less valued or threatened by me. It is important that he has the father and mother that he deserves, so we try to explain what we are not happy with and then work towards making the situation a happy one. Thanks for your review, it has definitely encouraged me to put this movie into my list. Thank you for taking the time to share your comment here, Josh. You sound like an amazing father, spending almost every moment away from work with your son and playing with him like that! And making such conscious choices of how to interact with him. Wow! He’s a lucky child to have you and your wife as his parents. As a father, you would probably be shaken by the story line of this movie. I would be very interested in reading about your thoughts and feelings about it after you’ve watched it… if you want to share them here with us. That would be great! Hi Nathalieu, It’s me again and following all of your article and writing style. I have not seen ‘The Pursuit of Happyness’ movie yet.But the review you are posting here really a great explanation for the lesson of life and it is inspiring me to watch this movie. I will definitely watch this movie later. Can you share some experience about your journey for this type of article writing? Hello Mzakapon, It’s great to read your comments on my various posts! Thank you! Yes, do watch the movie when you can, and do come back here to share your thoughts with me afterwards, okay? What do you mean when you ask me to share some experience about my journey for this type of article writing? Do you mean writing movie reviews? If so, that is my very first one… in general, I just write from the heart… and then I ask my head to help me make sense of what I wrote, for other people to read and benefit from it… Does that answer your question? Let me know. 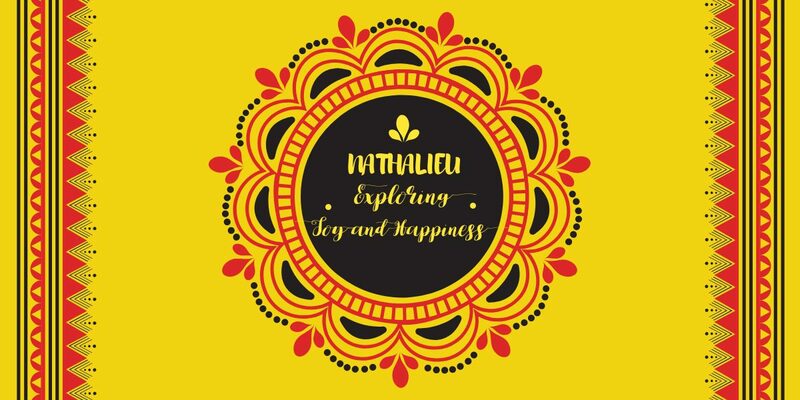 Hello Nathalie, Everyone is in pursuit of happiness. I personally have not seen this movie but with Smith being the actor and Nathalie the reviewer I believe everything in this review and I know the time investment will be worth it. It’s my next to see list. Thanks for sharing this beautiful review. I have seen this movie, maybe once or twice when I was in my adolescent. Honestly, I can’t remember much of the story line but I do remember the impression it gave me. The movie appeared at a time when I was really struggling growing up in a broken family. Chris and his son seemed to come from the same background, so it felt like something I could relate to. The story showed me where to find strength when you think all hopes were gone and also to appreciate what our parents can provide for us. And lastly, don’t just be a dreamer, but a doer. I already watched the movies. I really loved it. I consider that it is one of the most inspiring movies I have ever seen! The movie made me cried a lot when I first watched it. I still do it every time I watch it. I think I need to heal some wounds. Please tell me how! It’s great to hear that you love this movie and my review of it. Yes! You are absolutely right! There are so many lessons you can get from this movie and it speaks to everyone on a personal level in a different way. Thank YOU for sharing your opinion with me here. I was this movie once and it was such a good one. With Will Smith as the main actor, it can’t go wrong. I watched this with my wife, and she cried, because it is really beautiful. It is also inspiring, and for those who didn’t saw it yet, you really have to see it, it will make you think about lots of things. Your review will definitely hit home to some people. I personally have not see the movie, only some trailers. I am glad you are happy now, since your divorce is over. Hope only all good things for you and your family. Wishing you all the best. Thank you for your comment and your good wishes, Bill. Wonderful movie and good review! It’s amazing the it’s actually Will and his son. You can see his work ethic in this movie, because he is just being himself.